This gentleman disliked two teeth that were biting the wrong way around. 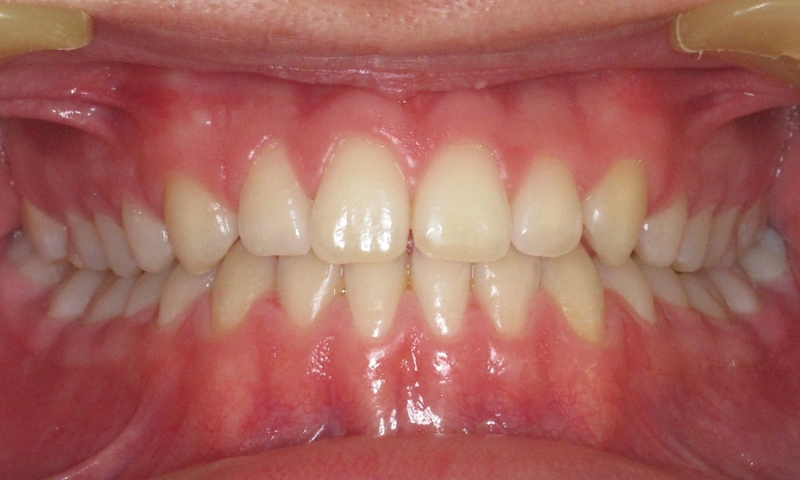 She wore a QST fixed brace to correct her bite over a period of 4 months. 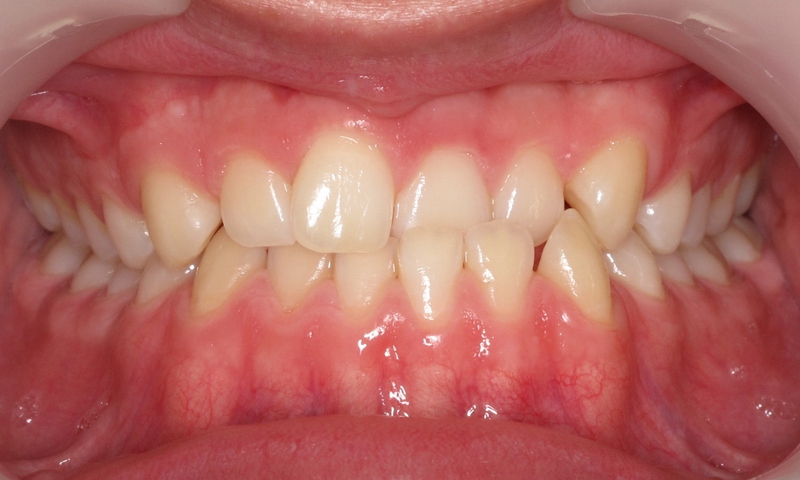 During this time, the lower teeth were also straightened.